Apart from getting cute umbrellas and comfy footwear, this rainy weather also calls for special skincare. 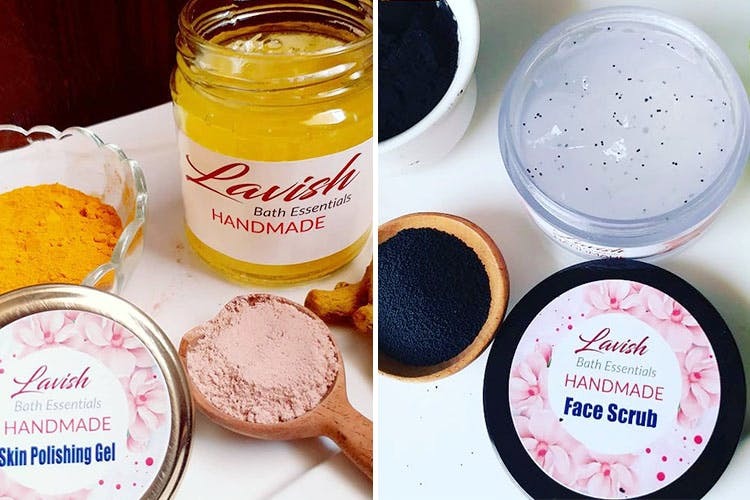 Lavish Bath Essentials has some awesome products made of natural blends which will help give your skin some TLC. Grab your favorite (or all) products at a steal deal! Indulge your skin with a nourishing combo of three bath products. It includes a Body Scrub for exfoliation, a Strawberry Donut Soap which also has shea butter and will soften dry skin in no time, as well as a Rose Body Wash with vitamin E & C for a well-fed skin. This mini hand cream jar not just smells heavenly but is also compact and made for women on-a-go. Comprising of shea butter, vitamin oil, coconut oil and natural wax, it’ll help your hands stay soft & moisturised. If you’re someone who has a preference for roses, you’re going to love this cream. This is one product that’ll soon be your new beauty essential. The rose lip balm with its natural properties will help you get rid of dry, chapped lips and keep them soft. They make sure all ingredients are natural and safe. This product will aid in your skin’s ability to hydrate itself without making it oily. The Skin Polishing Gel will keep your skin supple and expel any signs of skin aging. The state of your skin depends a lot on the soap you use. The Lavish soaps are made using natural ingredients and contain zero parabens or SLS. They don’t lather much which'll help you get the moisturised skin you’re aiming for. Who doesn’t love taking a long, relaxing shower after a really tiring day? These body scrubs are made of natural ingredients that'll help in exfoliating your skin and remove dead cells. Also, they come in cute glass bottles that are easy to store and gift.